Boards: 90 Days after purchase date. 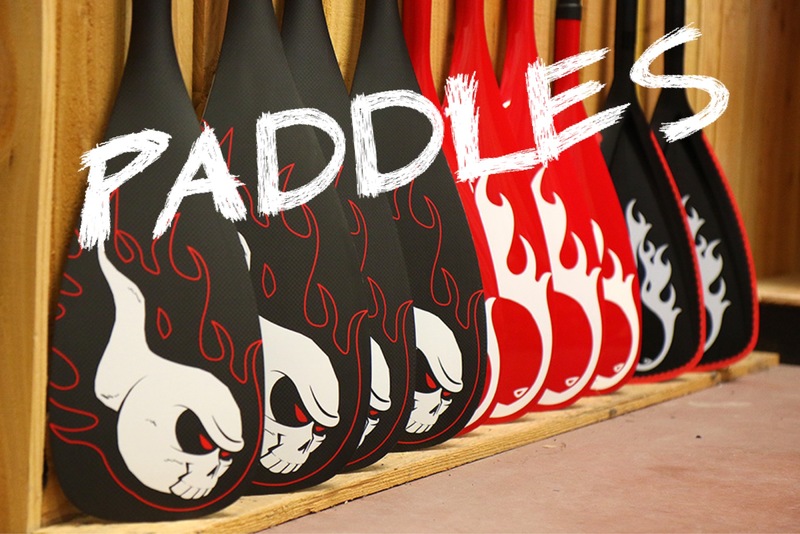 Paddles: 30 Days after purchase date. The warranty is only valid to the original purchaser of the board from the original dealer or retailer. Damage or defects caused by impact with any material or object. Damage or defects caused by, collisions, abuse, misuse or accidental damage. Damage or defects caused by transport, loading, unloading, dropping, out of water handling or similar. Damage or defects caused by exposure to temperatures over 70 and under 0 degrees Celsius. Damage or defects caused by nature, such as earthquake, fires etc. Damage or defects caused by alterations or modifications. Damage or defects caused by usage of the board after a claim is reported. Damage or defects caused using any race related board in surf conditions.Damage or defects caused by the use of a larger fin than specified. Damage or defects caused by a failure to close the air-valve during use. Damage or defects caused by wear and tear. If you believe your product has defects related to manufacturing faults, please contact us within 7 days from the date of which the defect or damage is discovered. Your product must be returned for immediate inspection. Make sure that the original proof of purchase is attached that indicates the original purchase date. If the original purchase date cannot be provided the product will not be under warrantee. Make sure that the photographs clearly show the defects. Supsurfen is onder de meest voorkommende gevallen een high impact sport. Zowel voor de boards/paddles als supgear. Houd uw materiaal in top conditie en repareer schades direct bij constatering. Bij schade ontstaan door nalatig onderhoud of onoordeelkundig gebruik zal een garantie-claim logischerwijs niet gehonoreerd worden.